One has to wonder what kind of lessons are taught to students when parents’ complaints to New Jersey Catholic high school administrators caused the cancelling of a production of The Laramie Project, a play about the 1998 murder of Matthew Shepard, a young Wyoming gay man. “has proved to be just as controversial as the play’s edgy and dramatic portrayal of a Wyoming town gripped in the aftermath of a hate crime. “On one side, school administrators say parents worried that the choice for the play was inappropriate for high schoolers, too loaded in its tale of the murder of a young gay man beaten and left tied to a fence to die. “But cast members and students at the Catholic high school said they’ve been unfairly robbed of their ability to put on a thought-provoking and powerful play, one whose message of tolerance resonates powerfully in the wake of the Tyler Clementi cyberbullying verdict and other anti-harassment efforts. Clearly, the overwhelming lessons of the school’s action are going to be that censorship is appropriate, that homosexuality is a forbidden topic, and that concerns about sexual activity are much more important that lessons about respect and tolerance. “School president Barry Breen and principal Mary Ivins said in a statement the choice for the spring play was originally seen as a ‘powerful and appropriate vehicle’ to address issues of respect and tolerance. But as calls questioning the play’s content rolled in, officials worried that the controversy would become distracting, and the decision was made Tuesday to cancel the show. “ ‘The expression of these concerns opened our eyes to the realization that different eyes will see radically different messages than the ones we intended,’ they said. The administration’s rationale teaches the wrong lesson that public pressure, not a principled decision, should be guide one’s thought. “ ‘I think the people had the assumption that the play was going to do something it never would have done, to encourage students to become homosexuals instead of not killing homosexuals,’ Diane Steinberg, a parent of a Notre Dame student and an alum, said during an interview. “Such a discussion, said Mr. Raslowsky and Michael LiVigni, the headmaster, fits firmly in the Catholic theological tradition, with its emphases on social justice and human dignity. Now, that’s a lesson worth teaching and learning. This is why I spend more Sundays in a Theater than in a Church. I think the community and lessons learned are far more valuable to my time on earth than worrying about what MAY happen to me later. And I am confident that my spiritual portfolio and resume will get me on any Production Staff in the Sky, no matter who the Big Director may turn out to be. And I say this as someone who went thru 8 years of Catholic School and who’s family was VERY involved in the Church Community. In high school, I ‘found theater’ (and came out) and I was ‘saved’ only by the strong bonds of my theater friends who accepted me for every aspect of myself. I hope that every single LGBTQ youth finds their way onto or backstage. Theater people, Divas included, are the most Life Affirming bunch of people you will every be fortunate to be around. And no matter where that final Cast Party may be, Im sure it will be a blast! I wonder what the GLBT kids who go to that school are feeling in the wake of the administration’s decision? I’m disappointed that once again the most intolerant 10% has gotten to dictate policy in a Catholic institution. I am the parent of one of the students in the cast. I could tell you what many of them feel but if you really want to know, take a look at their facebook page ND Students Against The Cancelling of The Laramie Project https://www.facebook.com/#!/groups/204765509627548/?bookmark_t=group . Our children are a credit to their families and their school. 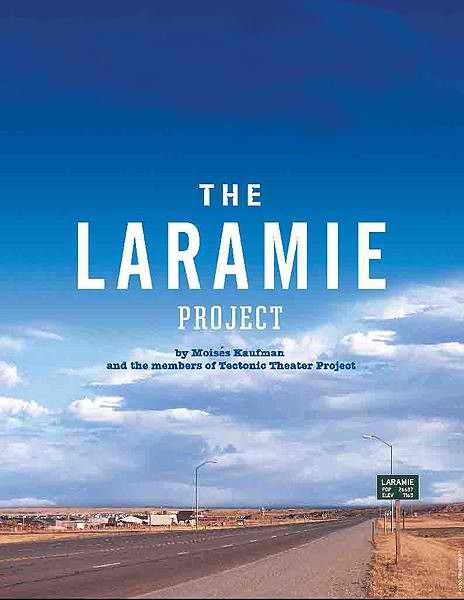 They have demonstrated their passion for the message of love and tolerance contained in The Laramie Project with the utmost maturity and respect. Their responses have been eloquent and deeply moving. I am left feeling that everyone has lost something in this. However, the ones who have lost the most are those who were too small minded to recognize the value of embracing social justice. Our children will go on to do greater things to impact this world and those who opposed this will be left inside the walls they have erected. Thank you, Susan, for this powerful testimony about this terrible decision. The students are courageous prophets!